For long documents like manuals and proposals, you might want to give each new section (or chapter) of the document a different header and/or footer. 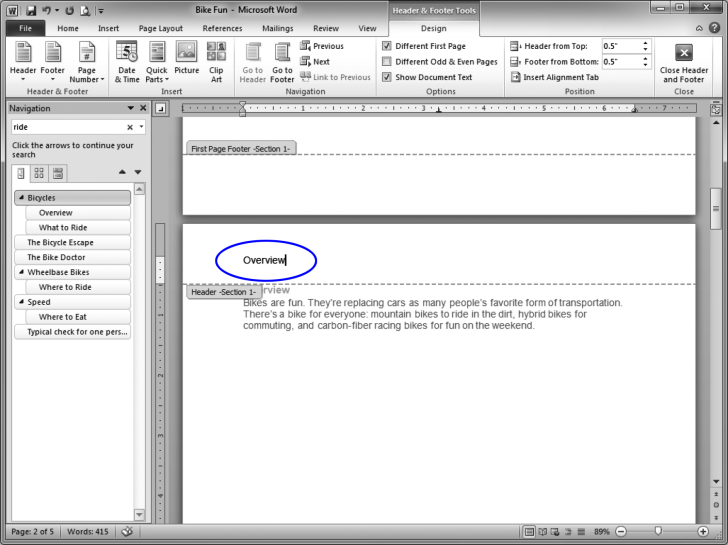 If a section break has been inserted at the beginning of each new chapter, you can create different headers and footers for each chapter. 1 Double-click outside the header to close it. ...and highlight the word Bicycles in the header. 3 Type the word Overview to replace Bicycles.